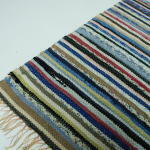 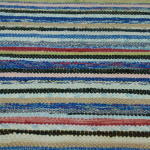 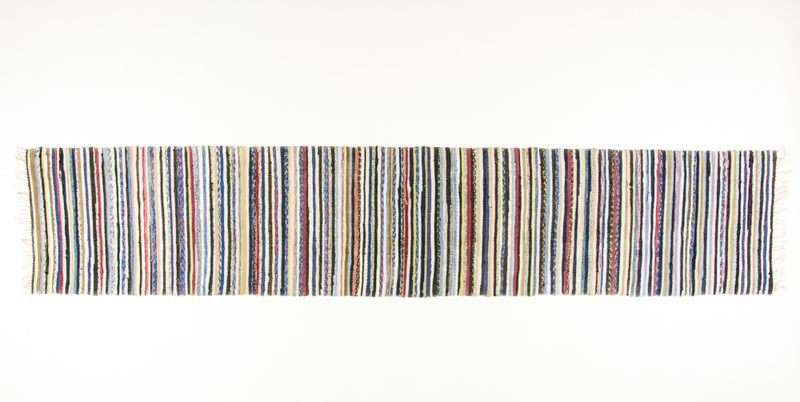 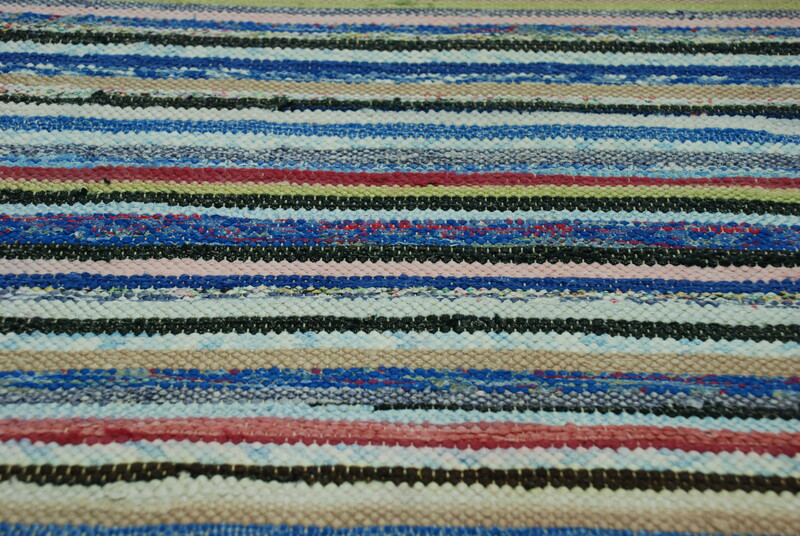 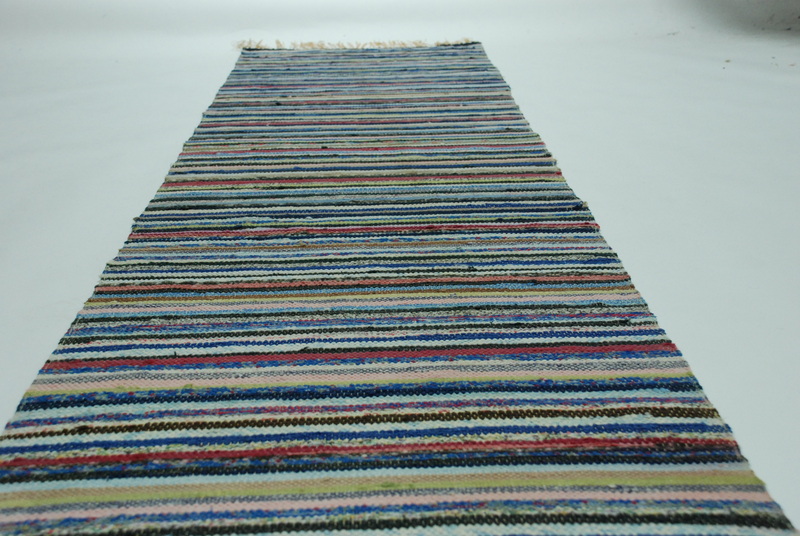 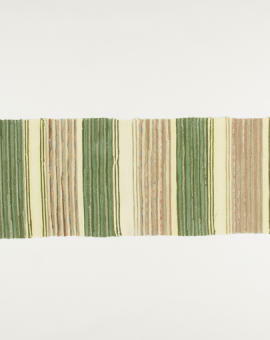 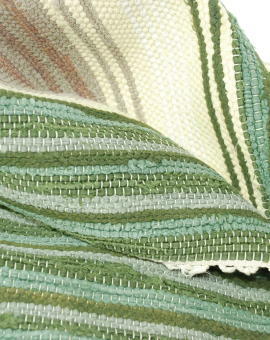 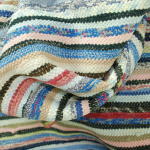 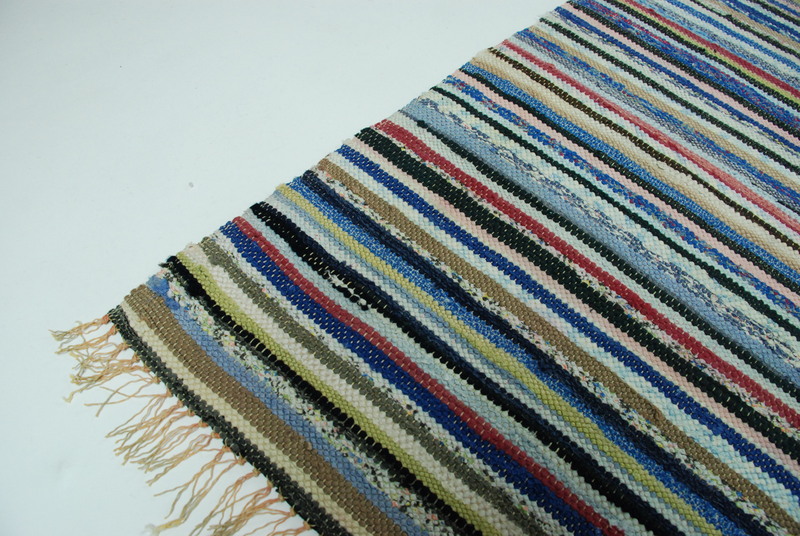 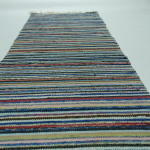 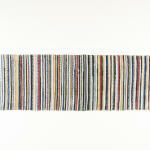 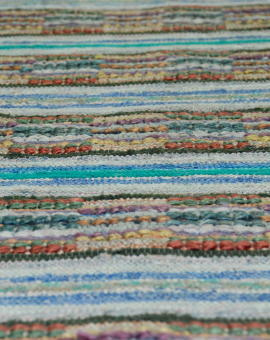 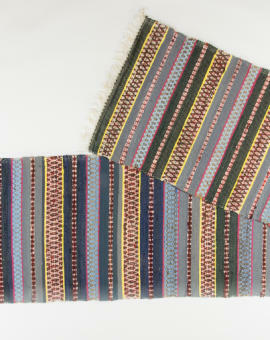 Striped rug in multicolor. 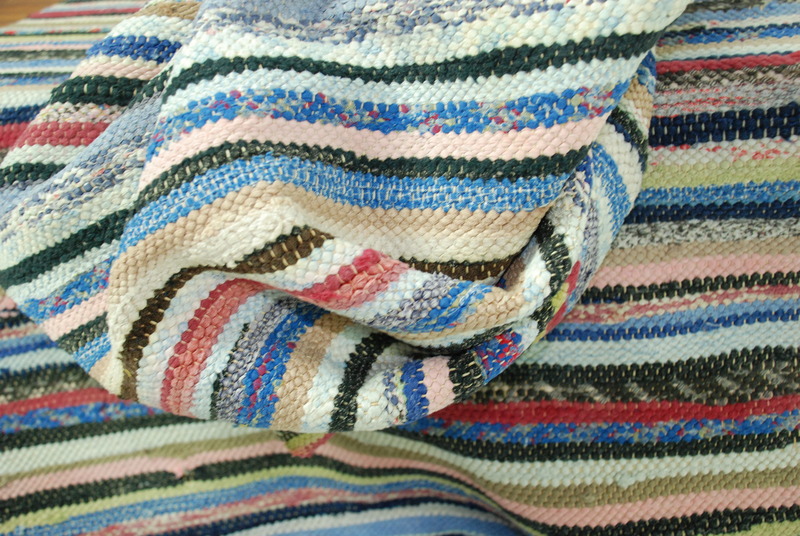 Straight edges , finely woven in the 1950´s. 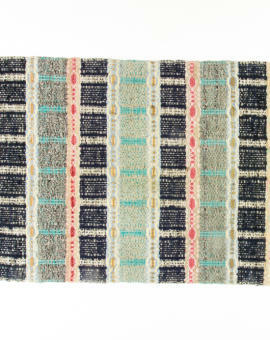 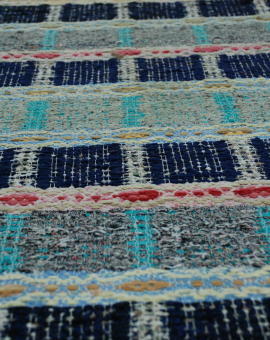 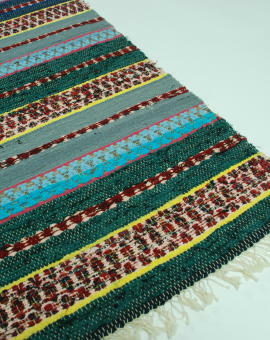 Rug Size: 305x59 cm (L x W).